'L. procumbens' was recently discovered in the northern part of Vietnam by Professor Leonid V. Averyanov and his team. 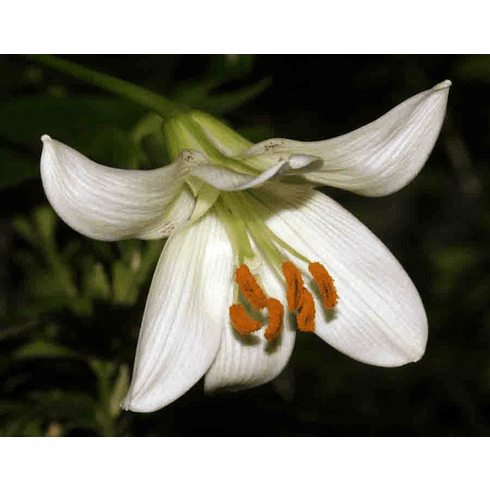 More information as be becomes available as there is not yet much information on this newly discovered lily. Photo insert #1 shows green coloration on back of petals. Photo insert #2 is close up of pollen. Photo insert #3 shows formation of ariel bulbils at leaf axils. All photos copyright Professor Leonid V. Averyanov, Russia Federation. All rights reserved. Used with permission.